Robert Daniel (Bob) Hall, age 86, of Akron, Ohio passed away on April 10, 2019 of natural causes at the Summa Health Center Akron. He was born in Poughkeepsie, NY on September 8, 1932 to the late Leonard and Esther (Walker) Hall of Wappingers Falls, NY. Bob graduated from Wappingers Falls High School in 1950 and earned his bachelor’s degree in accounting and finance in 1954 from Manhattan College in New York City. While in school, he participated on the school’s tennis team and played for the Poughkeepsie Tennis Club. He coached his sons’ baseball and basketball teams and later developed a love for golf, sailing, and woodworking. 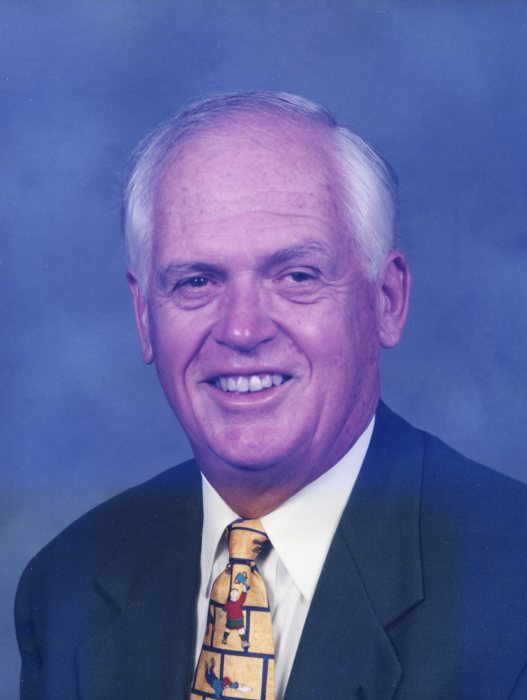 He served as president of the Copley Adult Booster Club during his sons’ high school years. Bob served in the U.S. Army from 1955 to 1957 in the Finance Department while stationed at the Army Personnel Center in Oakland, CA. He joined the Ohio Edison Company (First Energy Corporation) in 1968 and retired in 1994 as the Manager of Budgets after a very successful career. During his career, he served as president of the Data Processing Management Association and was a member of the Institute for the Certification of Computer Professionals. Bob’s commitment to the community was demonstrated by his 45-year tenure as a member of the Kiwanis Club, beginning in Poughkeepsie, NY and continuing his membership in Akron. He held numerous leadership positions with the Kiwanis Club of Akron, including president, first vice president and board member, ultimately serving as Ohio’s District Lieutenant Governor. He also dedicated his time to local boards of the American Diabetes Association and Girl Scouts of America and was a charter member of the Knights of Columbus Council at St. Hilary Catholic Church in Fairlawn. He is survived by his loving wife of 63 years, Mary Ann (Miller); his children, Mary Esther (Tom) Castello, PA; Roberta (Mark) Rininger, OH; Daniel (Judy) Hall, MA; and Michael (Susan Sloan) Hall, OR; grandchildren, Jeffrey Castello, Amy (Eric) Harvell, Brian (fiancé Carla), and Kristen Castello; Jason (Jodie) and Kurt Rininger; David, Matthew, and Brian Hall; Sloan and Shea Hall; and great-grandchildren, Bryan McGuire, Addie, Bella and Noah Harvell, Anna and Emma Rininger, and Laila and Kaden Bennett. Also to survive Bob are his brother, Richard (Pat) Hall, NY; sister-in-law, Nancy Hall, AZ; sister-in-law, Betsey Miller, NC; brother-in-law and sister-in-law, Edward (Edie) Miller, CA; brother-in-law, Neil Barta, WI; as well as many nieces and nephews, their families and many friends. He was preceded in death by brother, David (Nancy) Hall, AZ; brother-in-law, David (Betsey) Miller, NC; and sister-in-law, Judith (Neil) Barta, MI. The family would like to express their deepest gratitude to the Summa Health Hospice staff for their compassionate care for Bob during his final days. Friends may call at the Billow FAIRLAWN Chapel, 85 N. Miller Rd. on Sunday, April 14th from 2 to 5 p.m. Mass of Christian Burial will take place Monday, April 15th at 12 p.m. at St. Hilary Catholic Church, 2750 W. Market St., Fairlawn. Inurnment will be Tuesday, April 16th at 11 a.m. at the Ohio Western Reserve National Cemetery. In lieu of flowers, gifts may be made in memory of Bob Hall to support cancer research and patient care to the Dana-Farber Cancer Institute, P.O. Box 849168, Boston, MA 02284 or via http://www.jimmyfund.org/gift.